Sure it’s still winter – especially in Colorado considering it just snowed the last two days. 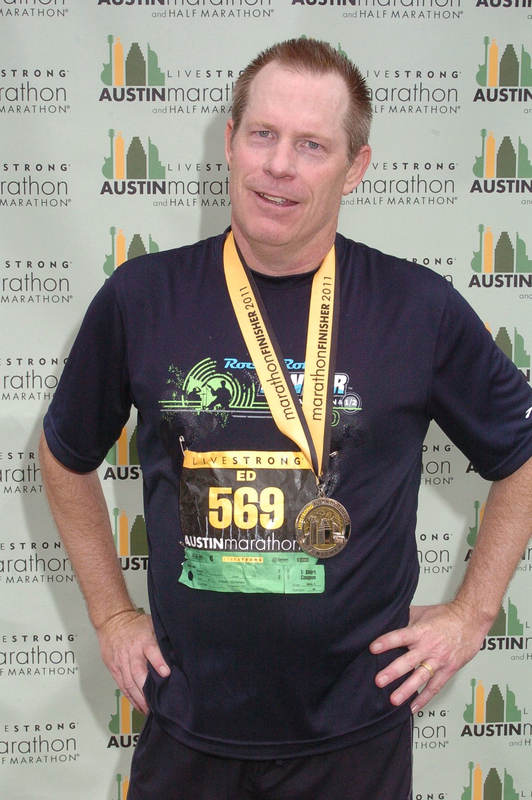 But that little 26.2 mile jaunt down in Austin last weekend marked the end of my winter training. And today was gorgeous outside. About 45° with strong sun splashing off the new snow. I was able to wear a single layer of Under Armour cold weather gear. I bought a new white, mock turtle compression shirt. Looks pretty good from my chest up. Compression gear isn’t too flattering on my bowling ball belly. I feel pretty good after the marathon. I ran 4 miles Thursday and 8 today. I was quite a bit more sore after the Denver Marathon, perhaps from running faster. I had a sore lower stomach that felt like a hernia for several months after. It didn’t go away until I began doing sit-ups again in January. 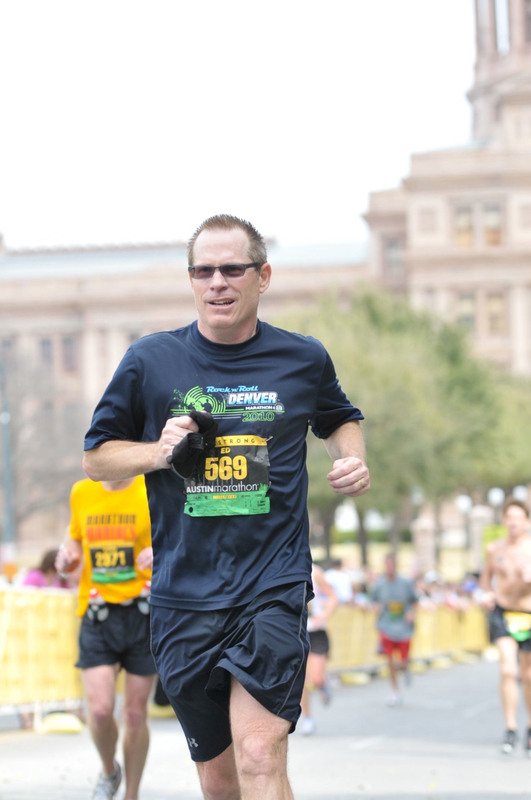 From the Austin Marathon, I have a pain lingering in my lower left leg. It feels sort of like a high ankle sprain. I’m guessing it’s from running so much of the marathon on the right side of the road which is not normal. I recall a number of times shifting position from the curb to the crown of the road for a more natural feel. It should go away soon but I might try some toe raises to see if that speeds up the recovery. This official race pic above was taken maybe a minute after crossing the finish line. My finish time is finally posted – 4:23. That’s 23 minutes slower than I expected, which is fine. What I learned from the splits being posted is I clearly went out too fast. I ran the first 10 miles at an 8 minute pace. I was running with the 8:30 pace team, so some help they were. I didn’t notice because my breathing was fine, but clearly my legs are not in shape for such a torrid pace. I believe a 9 minute pace would have been perfect. As it was, I probably slowed down ultimately to a 12 minute pace as I finished with a 10 minute pace overall. Bottom line is I need to relearn how to pace myself. I used to have such a good feel for that 20 years ago. And since I’ve learned I can’t trust the pace teams, I might have to start wearing a watch. This pic to the right catches my fatigue in the last 50 meters. I’m going to remember the pain from this race for years to come. It might have been harder than my very first marathon at age 16. The rest of the year should feel downhill. My next event is in a month – the Moab Half Marathon. I intend to practice my 9 minute pace for that puppy. 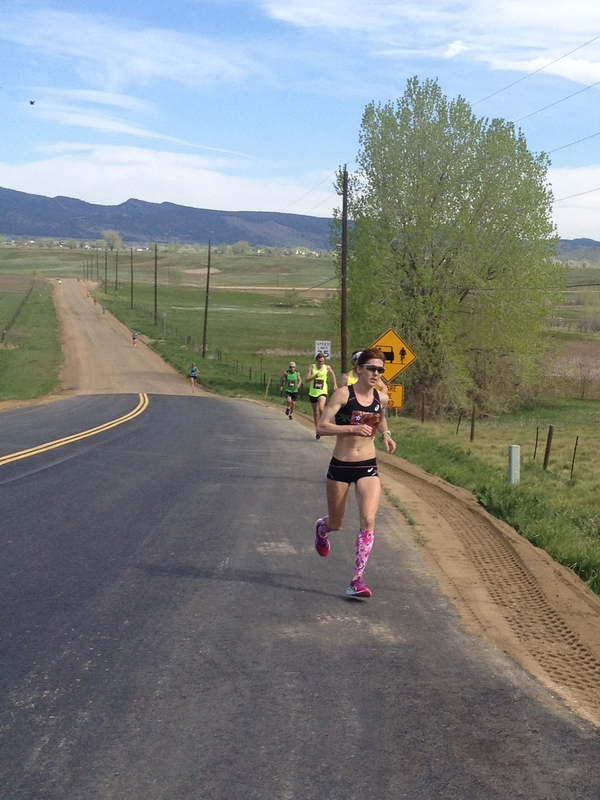 I hope to show some improvement in the Bolder Boulder in May. I don’t have anything officially planned after that. I did enter the lottery to run the New York Marathon in November. I won’t be too disappointed if I don’t get selected. Otherwise, I’m looking forward to some hiking on the Colorado Trail with my buddy Rob this summer. I think I might finally be in good enough shape to hang with him. I feel you should always start with a faster pace on a long run because inevitably your pace will slow down. If you start with your average pace, you will be pounding the pavement longer leading to more pain. Nice try Rob. I may have been a little over excited in Austin and forgot my pace, but I haven’t forgotten all my experience. I started the Denver Marathon out slower and it was both literally and figuratively a stroll through the park. Pleasant and comfortable. After 10 miles, Austin was torture.